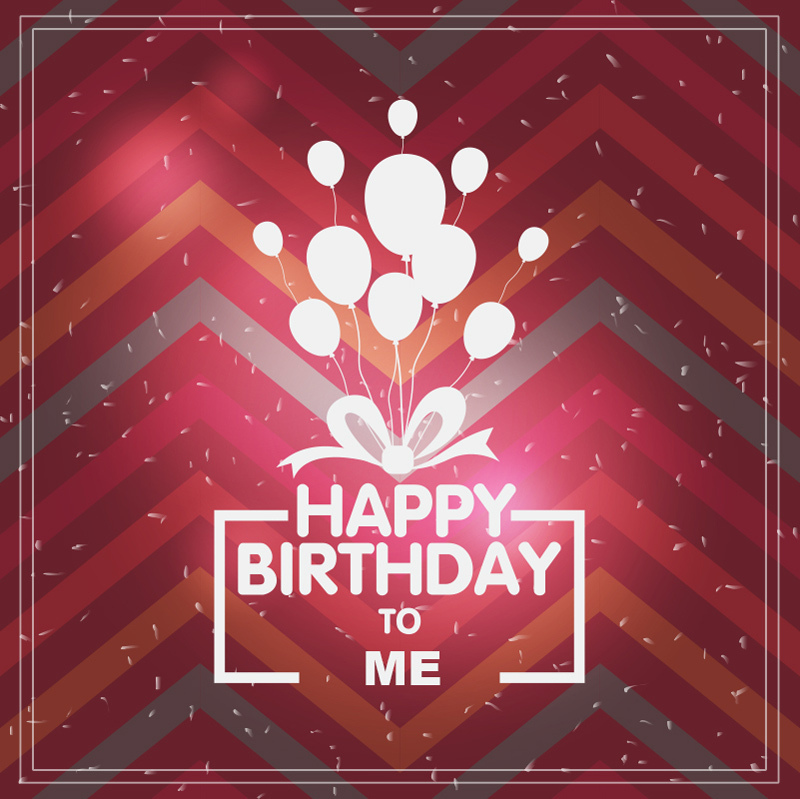 Self Birthday Wishes : If you celebrate your own birthday and wish yourself it’s just a clear symptom that you love yourself most. Also it’s a sign of high self esteem. 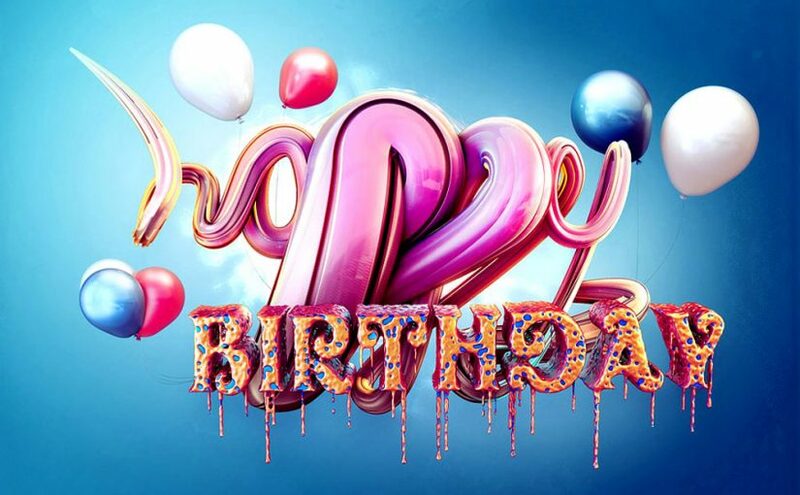 There is a saying that, “If you can’t love yourself then you can’t have love from others.” So, you will enjoy most this post of Best Self Birthday Wishes messages and funny quotes to celebrate your this birthday. Also, these self-birthday wishes will help you to express your happiness on social media that how much joys you have on your birthday. Quotes and prayers which will help you to express your happiness to others and gratitude to the Almighty. I’m celebrating me and it’s my Birthday! Happy Birthday To Me, Myself and I! 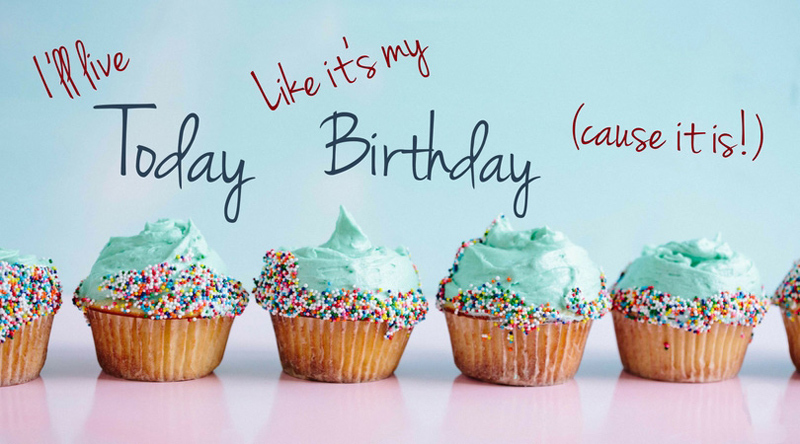 Keep calm and wish me Happy Birthday! Happy Birthday to the sexiest person Alive. It feels good to be older. Happy birthday to the awesome person that lives in me! You are just amazing! The best guide for you is the voice lives inside of you. Happy birthday to myself! I’m always proud to be me. I only drink on two occasions; when it’s my birthday and when it’s not. Gonna Party Like Hell cause it’s my birthday, Happy Birthday to me! Birthdays are beneficial for me. The more I have, the more I live. lol. Happy Birthday to me! May I live to be old and toothless. One more beautiful year have passed in the journey of knowing myself. Life is awesome, so am I.
I’m mature enough to realize that I’m still a child. Happy birthday to myself. Still a long way to go! The more birthdays I have in my life, the more deeply I fall in love with myself. Who said numbers don’t matter? One more year have been successfully completed. Its happy birthday to me today. God bless me! 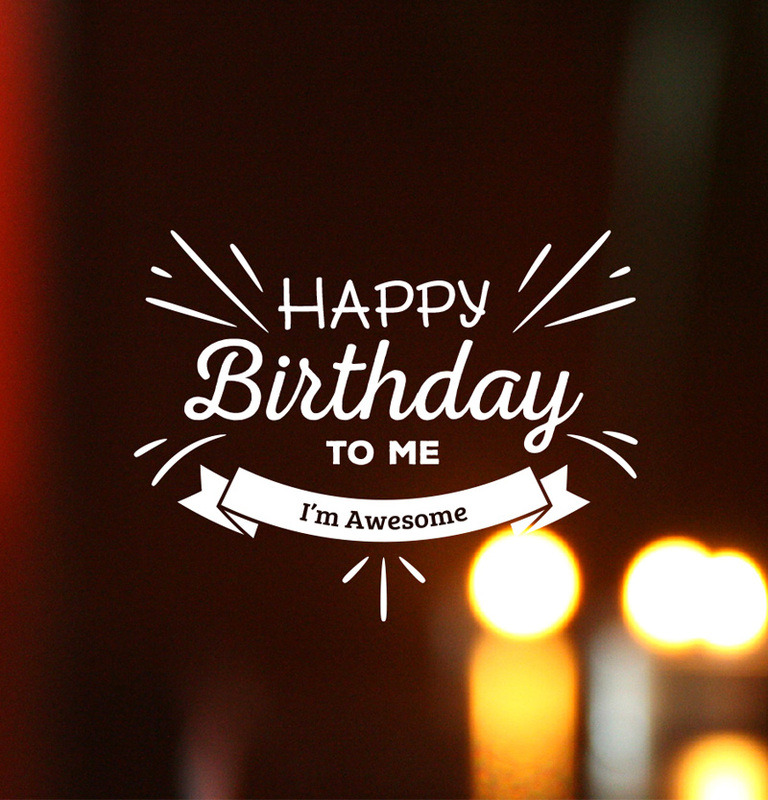 I’m so awesome, when I was born, I was given a certificate… Happy B’day to me! Today was the only day when I cried & my mother Smiled on it. Happy Birthday Mother’s lovely child, Happy Birthday to Me. I create within me a vacuum that no one can and will ever fill except God who has protected me all through the years. Happy birthday to me. And I’m grateful. More money, more joy, more smile is what I wish for myself on my birthday. God bless me always. I am ancient now, so I leave you with a picture of when I was in my golden years. Yes I used to be gold, no really, I’m gold. There comes a time in everyone’s life when you try your best to hide your birthdays! That’s why I’m whispering happy birthday to me so no one else can know my real age! Some people become more beautiful as they grow old. Maybe this is the reason why I can’t stop being beautiful. Happy birthday to myself! As I am becoming more mature every year, I am starting to realize one great truth. Legends don’t come in this earth in great numbers. They are rare, just like me. Happy birthday to myself! May this day bring countless happiness and endless joy and live with peace and serenity to me! Relationships are the currency of leadership, without people, an organization would lose its purpose and value. Same is with me, my relationship is with my Happiness and smile, Which I hope will keep alive all the time. Happy Birthday Mr. Awesome. You understand me more than I can even understand myself. I could never thank you enough for all that you have done for me. Happy Birthday to the best friend in this whole world and it’s me. If I wasn’t born, the word ‘Awesome’ would have gone extinct from dictionaries. It feels wonderful to be someone of such importance. Happy birthday to myself! People spend their entire life to be a great person. I’m so blessed that I was born great. Today is the day to celebrate this holy greatness of mine! Happy birthday to me! Sometimes I feel like I’m a diamond who just happened to be imported out of Africa a long time ago. 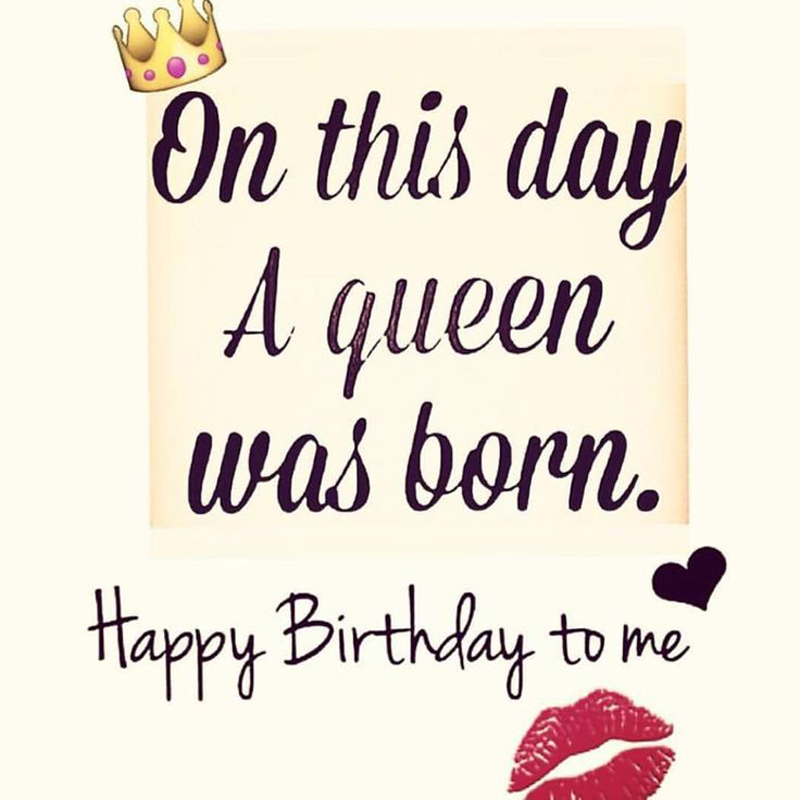 Happy birthday to the living gem, the purest soul ever….. myself! Happy birthday to a person who is smart, good-looking, and funny and reminds me a lot of myself. Thank God I’m a year older today. It’s not been easy but I’m grateful. Happy birthday to me, myself and I. Happy birthday to me or Thanks for the wishes or X years since the world is beholding this beauty. I know you`re jealous. I`d like to thank my mom and dad for making this miracle possible. ITS MY BIRTHDAY! A very Happy Birthday to me, heartfelt wishes to myself, happy birthday me awesome! I can sense from afar that today is the world’s most humble guys birthday. Wishing myself great years ahead. Thank you, God, for giving me another year of life. Thanks to all the people who remembered me today by sending cards, and letters, gifts and good wishes. The success that cannot be hidden, The testimonies that are too big to share, Miracles that never happened to anyone, Shall be my lot today and forever. Even as I celebrate my birthday. Amen. Happy Birthday to me. I leap for joy as I celebrate God’s tremendous love for me! God, your love nourishes me. God, your enormous love for me makes me laugh for joy! I sing for joy at your lavish love for me! The eyes that have seen me break down in sorrows, Shall see me being lifted up in all your ways. The hand that has been given to me, Shall begin to receive from me. This shall happen to me from today, and forever. Amen. Happy birthday to me. I pray for protection and guidance in my everyday journey…I also pray for good health and happiness of my family and friends. In Jesus name, I pray. Thank you for all the experience of this past year; for times of success which will always be happy memories, for times of failure which reminded me of my own weakness and of my need for you, for times of joy when the sun was shining, for times of sadness which drove me to you. Dear, we hope that you have enjoyed these self birthday wishes and messages to celebrate your happy birthday. We also glad to share these funny self birthday wishes with you and wish you a very happy birthday!